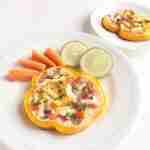 Easy Cheesy Vegetarian Egg Rings with Yellow Bell Peppers! 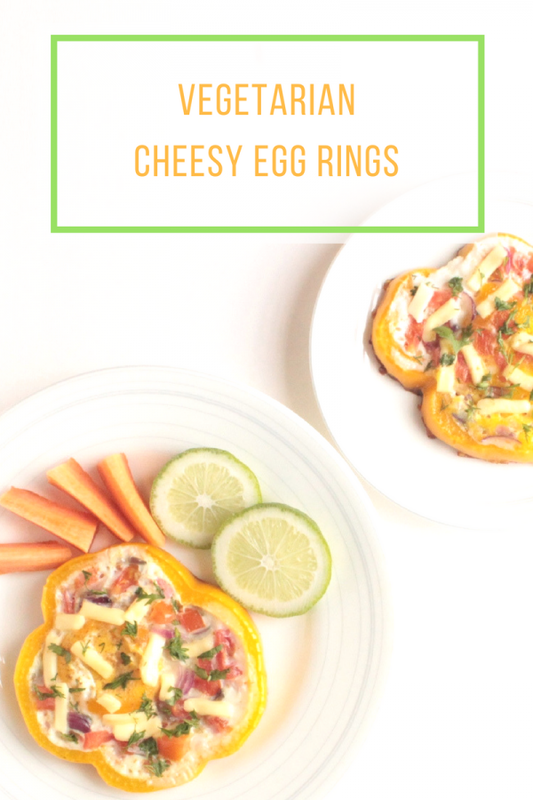 These cheesy vegetarian egg rings are simple to make, can be changed up a zillion different ways and look beautiful served for brunch… oh yeah, and you can make them ahead of time and just reheat in the oven! 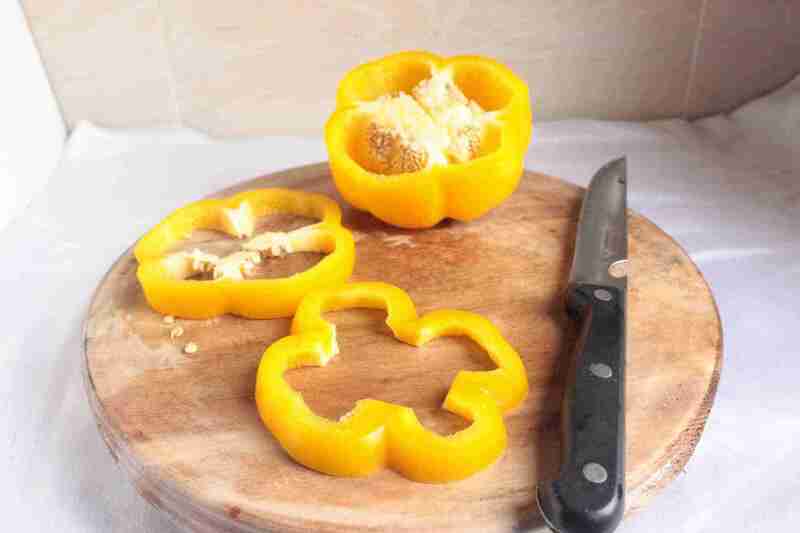 Cut the peppers into half an inch thick rings. 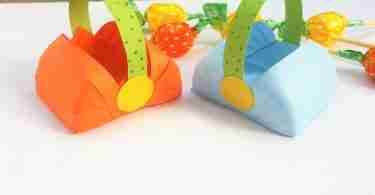 Remove the seeds and centers of the peppers rings. Chop tomato, purple onions, coriander leaves into small pieces. Cut the cheese into small slices. The size of the chopped items would depend on the size of the peppers ring, I kept mine about 1 cm cubes for the tomato and the rest of the items were chopped into even smaller pieces. 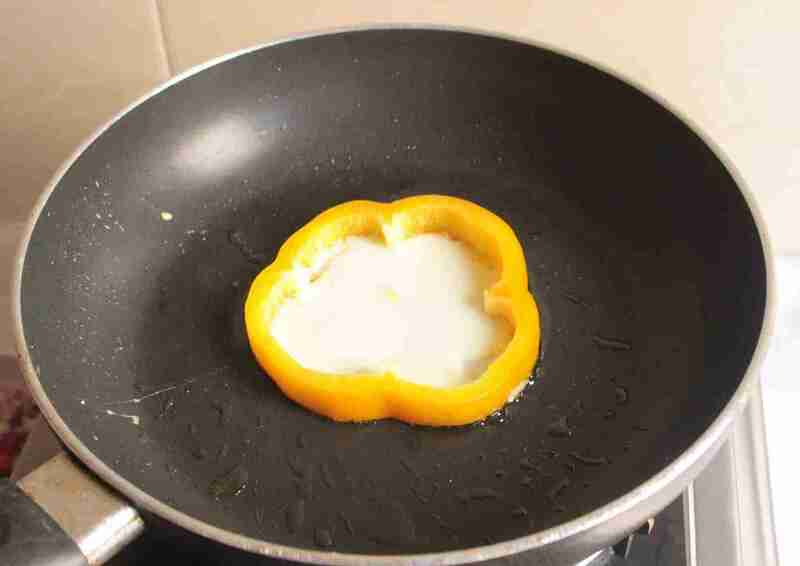 You can either crack an egg directly into the peppers ring or crack the egg in a small bowl and then slowly pour it into the ring. First pour a small amount of egg white into the ring to check if it leaks. Remove leaked egg whites from sides in case it leaks. 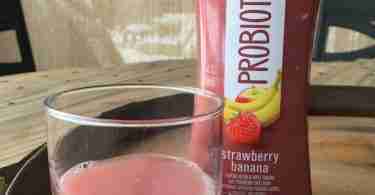 Now pour the rest of the egg into the ring. 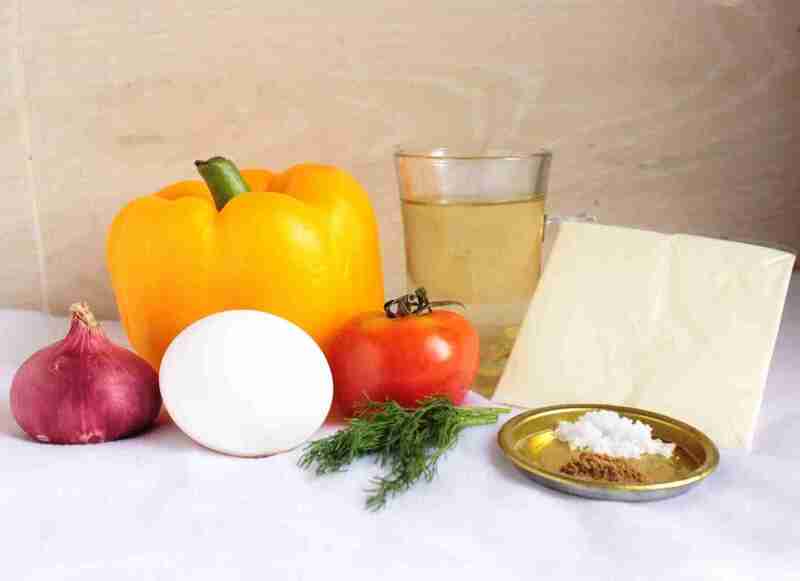 Quickly add the chopped tomato and onion by sprinkling them over the egg white. 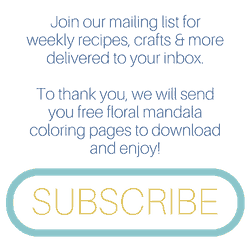 Sprinkle a pinch of salt and black pepper powder over the egg ring. 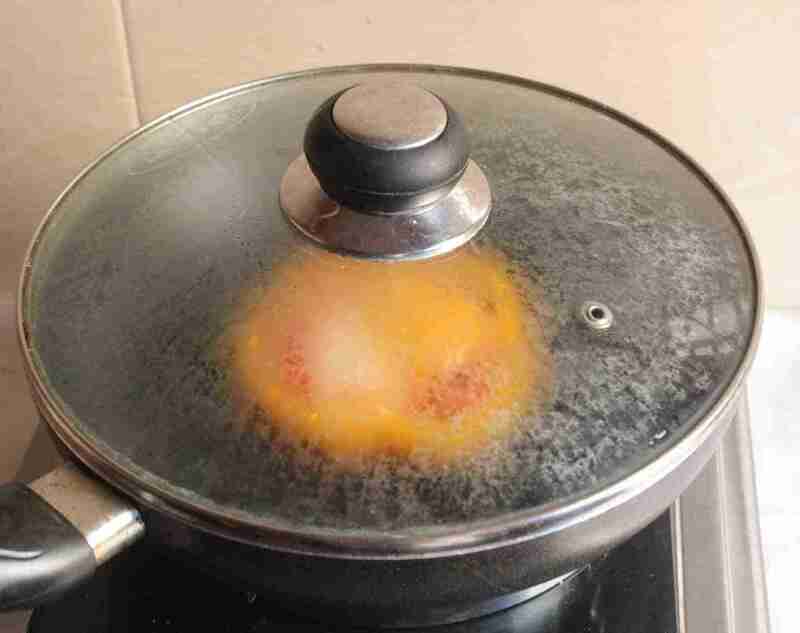 Cover the pan and let the yolk cook for about 2 minutes. Uncover the pan once you’re satisfied with the yolk. Now sprinkle the sliced cheese over the egg ring and sauté for another minute. Serve while hot and enjoy your delicious breakfast! 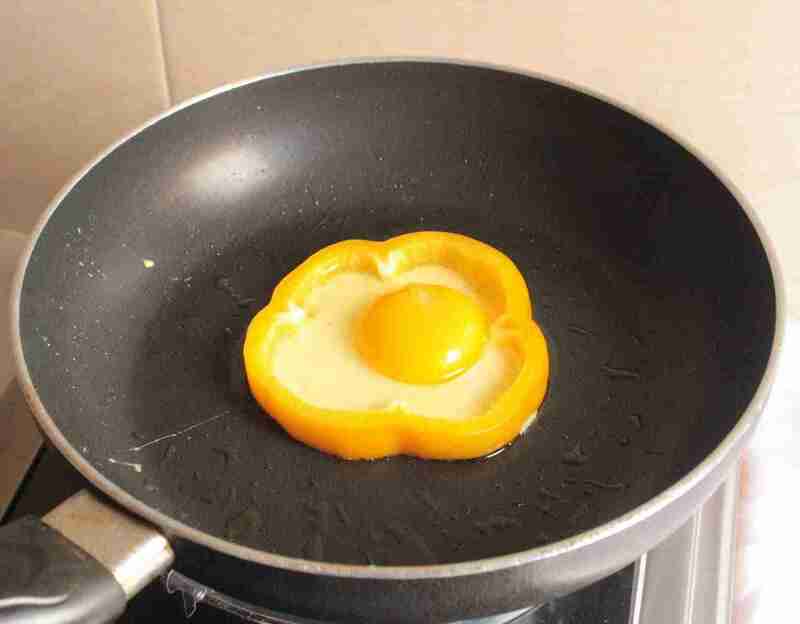 Print the Cheesy Vegetarian Egg Rings Recipe! 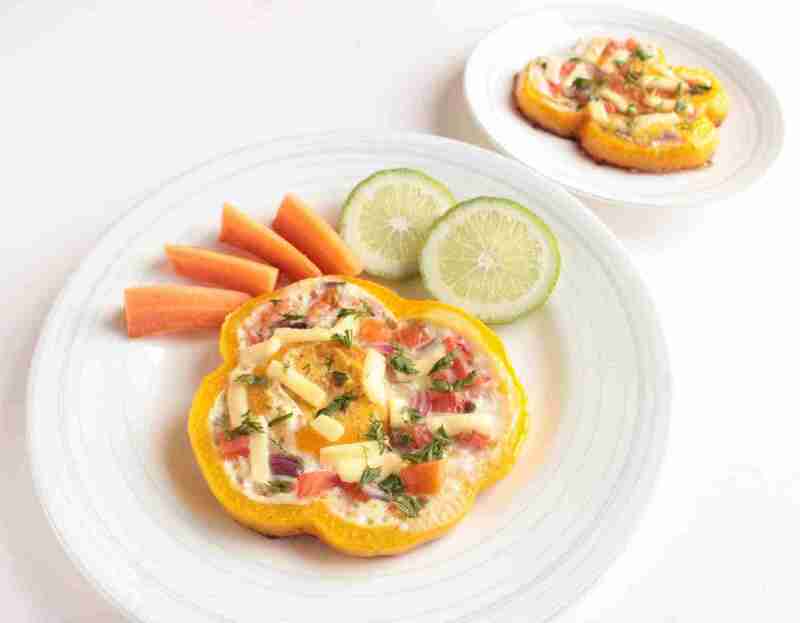 An easy vegetarian breakfast that can be changed up a billion different ways according to taste, looks beautiful for brunch, and can be reheated easily in the oven! Heat 1 tbsp of olive oil in a non-sticky frying pan over medium heat. 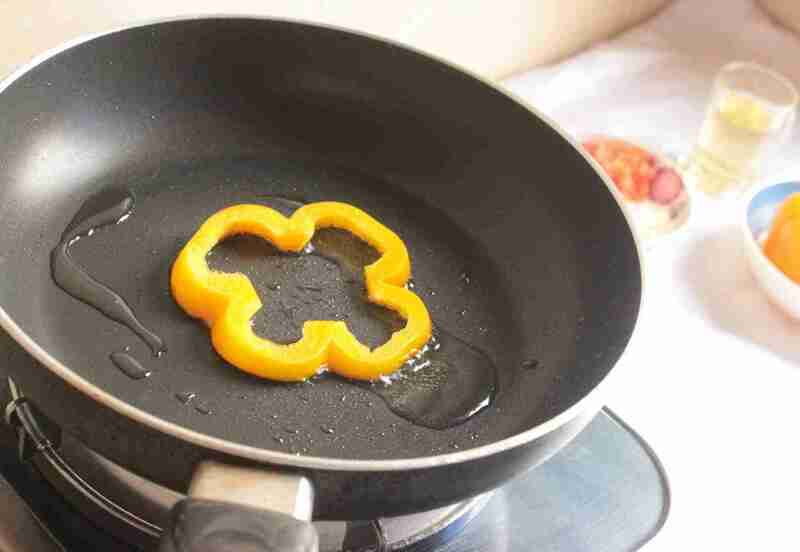 Place a peppers ring into the pan and let it cook for 2 minutes. 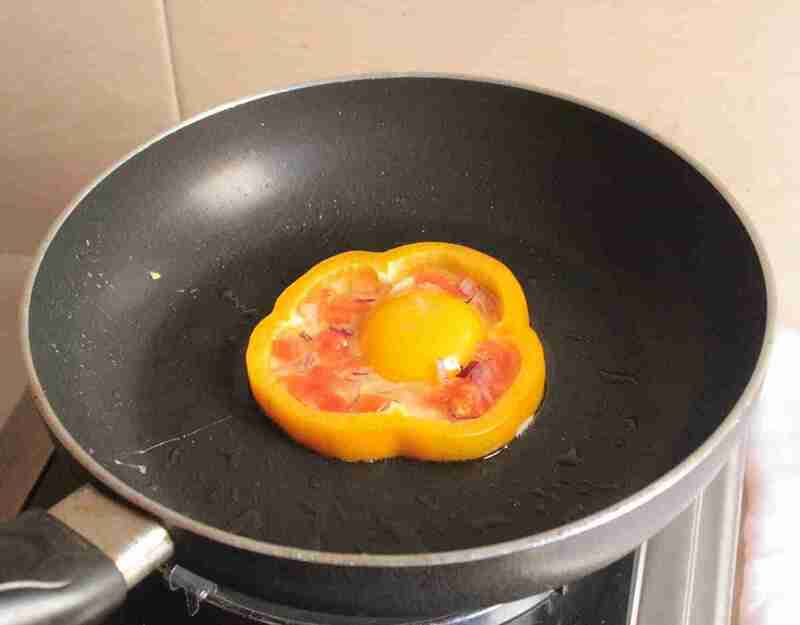 Uncover the pan once you’re satisfied with the yolk. 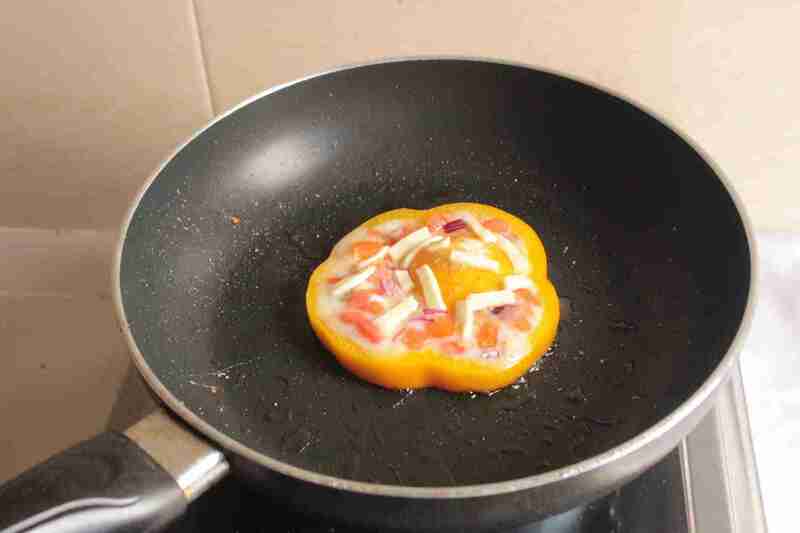 Now sprinkle the sliced cheese over the egg ring and sauté for another minute.